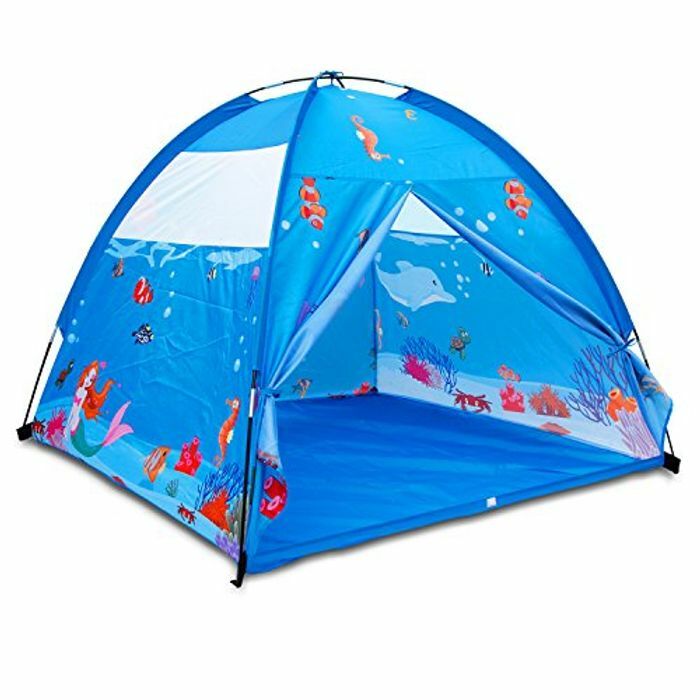 ★Durable & Breathable★ The kids tent is made of durable premium 190T Polyester and it is breathable with two mesh design. ★Unique Design★ This playhouse tent is designed with Imaginative Ocean World patterns with seahorse, dolphin, tortoise and other sea life, which inspires and encourage children's imagination about ocean as Christmas and Halloween gifts. ★After-sales Service★ 12 Months Warranty for Any Product Quality Problem (Excludes Man-made).